Need to sell your house in Charlotte for Cash? You’re at the right place. Selling house is a stressful and often a lengthy process. If you are wondering who will buy my house for cash, or are thinking of calling someone who has advertised “we buy houses fast for cash”, just stop for think for a moment. How reliable are these people who promise to offer fast cash for homes? And can they really close a fast sale? Why feel stressed when we at Charlotte Investment Houses can give you a reliable and effective solution when all you want is to sell my home for cash. We buy houses for cash and can speed up the process in a way that would take all your worries away. We understand that when you want fast cash for homes, you are not ready to list your homes and wait endlessly for months to get a good deal and then spend some more time to close the sale. You want the process to be fast and efficient. Those having houses in bad condition or that need extensive repairs, finding a cash buyer who would buy the property in its as-is condition could be an uphill task. That’s where we can help. No matter what type of house you have, what its present condition is, and what price range you want for it, we can help. Since we buy your house in its as-is condition, you won’t need to worry about repairs, cleaning or other associated expenses that you usually have to incur to get your house for sale market-ready. With us, no closing costs or agent fees are involved, which is yet other advantage when you need quick cash for homes. To sell your house, just fill out the quick form below. Or give us a call right now at 704-253-1007. At Charlotte Investment Houses, we understand that you may have various reasons to sell your home for cash. from losing your job and falling behind on your mortgage payments to escalating medical bills, going through divorce or lawsuits, or inherited properties, you may have several reasons that make you search for fast cash for homes. If you find yourself in any of these situations or have other reasons to sell home for cash, make sure to reach out to us. Divorce: Divorce is a distressing experience and can often affect your finances as well as your credit score adversely. With a fast house sale for cash, you can protect your finances and decrease the ongoing stress and tension to some extent. Relocating: When you plan a quick move to a new location, you often won’t have the time or desire to wait for long to close a house sale. Rather than opt for lengthy, traditional methods that are full of hassles, fast cash for homes seem like a preferable and much more effective option. Vacant House: Rather than wondering if your vacant home is covered by insurance (which isn’t in most cases when you have moved out 30 to 60 days ago) or waiting for it to be vandalized, it makes prudent sense to sell it to someone who is ready to pay cash for homes. Landlord tired: After years of being a landlord and feeling tired of the responsibilities, or just wanting to sell your property with tenants to release your investment from the home, whatever be the reason, fast cash for homes can be the best way to go forward. Inherited House: Inherited properties can be stressful to handle, especially if they have been passed on to you after the death of a loved one. Selling such a property after probate – whether you are the solitary owner or part of a group of beneficiaries, can be done quickly with a cash sale. Lost Job: Losing a job often brings several financial hardships but with a fast home sale for cash, you can regain some control on the situation and get over that feeling of helplessness. Whatever be your reasons to sell your home, when you need a stress-free process and a quick sale within a timeframe that suits you the best, trust us at Charlotte Investment Houses to deliver exactly what you want. In Charlotte and its surrounding areas, Charlotte Investment Houses is the most respected name that offers fast, efficient and reliable house buying service. We buy homes for cash in other regions as well. Having started our journey from the ground up, we have come a long way over the years with our carefully built and well nurtured experienced and professional home buying team. 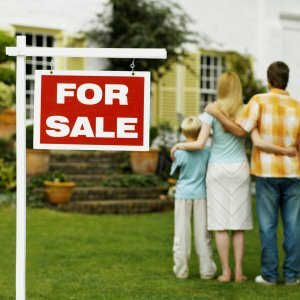 The common goal that binds us all is to lend a helping hand to homeowners like you who need to sell their house fast in a hassle-free and transparent manner where no hidden or additional fees are charged, and no games are played by including apparently hidden clauses or dubious conditions that adversely affect your interests. With honest and fair price offers complemented by complete transparency all through the process – right from the initial stages till the closing of the sale, we ensure that you have complete peace of mind and a quick, easy and efficient direct cash offer within as fast as 7 days. We buy houses for cash across the US and our emphasis is on Charlotte and its neighboring regions. By contacting our efficient and highly experienced home buying team, you can ensure a stress-free, easy and quick direct cash purchase of your house fast, irrespective of where your house is located – be it in Charlotte or its neighboring areas. And you don’t need to worry about your house’s condition either. Whether your home has been condemned at present, has mold issues, pest or termite infestations, foundation troubles, fire damage, structural or roofing problems, electrical or plumbing issues, or code violations, we can pay cash for homes after buying them in their as-is condition as long as they meet our buying criteria. 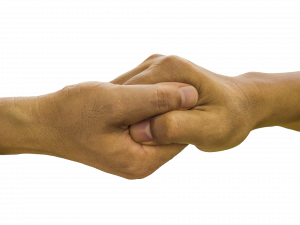 So, whether you are late on your mortgage payments or simply need to sell to deal with some financial hardships, we are your ideal partners for closing a quick sale for cash. Remember – we are not agents. We have our own funds to buy houses. So, you can say we are actually home buyers who pay cash for homes from our own pockets. This is what gives us the freedom and flexibility to give you fast and fair on-the-spot offers. Since we give you no-obligation offers, there’s no pressure on you to accept it after we have made you an offer. You are free to accept our offer, or can take your time to think about it, discuss with others and even shop around – if you want to. Fast settlement: When time’s running out and you need a fast closing on your cash for homes offer, you can get it all from us. And we even give you a no-obligation fair quote when we have to work with a strict timeline. Personalized solutions: We understand that every home seller is different from the other. They may have unique needs and reasons for selling their homes. So, we offer personalized cash for homes quotes that match their specific requirements. Certainty: If your house meets our criteria to buy, you can rest assured of getting a fair offer. With your acceptance of the offer, you can even relax because we will take every step to close the deal fast. Save time and money: Instead of wasting a lot of time in waiting to get the right offers or closing a deal, not to mention spending truckloads of money on legal fees, agent commissions and other hidden fees, you can have a breezy solution that saves both your time and money, and even saves you a lot of legwork. A Fast Closing: We can take as little as 7 days to take your home off your hands. We buy homes for cash and if you need a fast closing and instant cash in your hands, we are your ideal partners. No Hassle: Forget listing your house and waiting for months on end to get an offer, or paying agents huge commissions for a sale. With us, you get instant, no-hassle cash for your home after a quick closing. Instant Debt Relief: With our no-obligation, fast and fair cash for homes offers, you can get instant cash in your hands after we close the deal. This means an instantaneous solution to your financial worries. Confidentiality: We maintain strict confidentiality during the entire process. So, you can rest easy for your personal details are safe with us. Really Simple: With us, selling your home for cash becomes a simple process that’s fast and complete hassle-free. Since we buy houses in their as-is conditions, you needn’t worry about repairs or incurring expenses on cleaning and making the house ready for the market.